This is a great innovative E-book, it captures your attention without leaving you wondering or questioning what you have read, it is very cleverly written. I am not new to the smoothie world but i had given up as i was just getting random produce and thinking that i was doing the right thing, It was so gross and disgusting, i thought that my smoothie days were over. This book changed it all. It gave me all the crucial information that i needed to make delicious smoothies that are VERY healthy for myself and my family. This book gives you many tips and answers all your questions and is packed with delicious recipes. My favorite is the Apple Celery Smoothie. 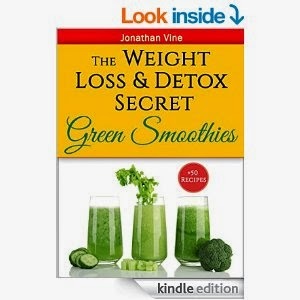 If you are looking for a healthy alternative to weight loss, acne, Health problems, this book would be amazing and work for you. When I was offered the chance to receive this book free in exchange for an honest opinion, I was worried that it would be just another book leaving me asking questions. It was amazing with 50 recipes and they are so easy to make with multiple options. What’s So Good About Green Smoothies?